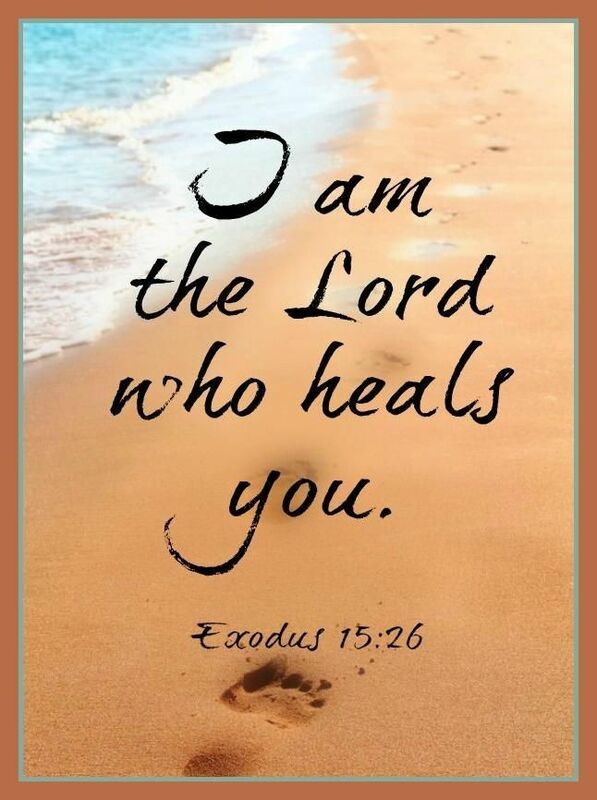 I am the Lord that heals thee . . .
“I will give you comfort on every side to replace the troubles that surrounded you. You will have an abundance of Joy for your sorrow, and the days of your mourning will be OVER! “I AM your ultimate Comforter, and I will dry your tears, hold you in My arms of Love and give you unspeakable joy. “Sadness will soon be replaced by gladness and you will sing a new song of praise and thanksgiving, as I elevate you and position you to be seated in heavenly places with me,” says the LORD. “You will not be under the burdens, but delivered from them,” says the LORD. “Just wait on Me and trust in Me, and cast all your burdens upon Me. They are easy for Me to carry, and you will be light and free. I want you to be full of life and vitality, as you give me the reins of your life and let Me do the steering. “I will take you into New heights of My glory and give you unspeakable gifts, as I lavish My love upon you, and restore comforts to you,” says the LORD.